First off, Jennifer, thank you for stopping by the MG Book Village to celebrate Goodbye, Mr. Spalding and to chat about the book. Before we get to the new book, would you care to introduce yourself to our readers? Thank you for having me! 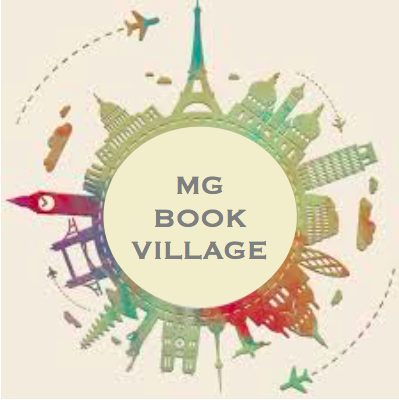 I’m a big fan of MG Book Village. Happy to introduce myself – I am a writer from the Philadelphia area. I spend my days on a local college campus working with students, and my free time writing for young readers. At the start of my writing journey, I spent a short career writing how-to style guide books, publishing The Complete Idiot’s Guide To Bridal Showers in 1999 and The Everything Scrapbooking Book in 2002. These experiences were a great introduction to the publishing industry, and helped me to see where I wanted to spend my writing energy. I then joined SCBWI, found a great writing group, and have been writing stories for children ever since. I especially love writing Middle Grade, and about little-known nuggets of history. One other question, before we get to the book. I know your journey to the printed page has been a long one, as it is for so many. I learned from your Acknowledgements that you worked on Goodbye, Mr. Spalding for eight years! Kids – and adults! – are often shocked to learn how long it takes to finish a book. Is there anything you’d like to share about your journey? Do you have any advice or wisdom for those still working toward publication? There was one big difference-maker outside of the actual writing, and it all has to do with having a strong support system and dedicated writing group. That’s the biggest piece of advice I can give – to surround yourself with people who have your back, whether that’s family, an online community, an in-person group, or a combination. My family was so encouraging, and my three critique partners definitely pushed me when I wanted to pack up, motivating me to take the manuscript out of a figurative drawer several times. They all believed in Goodbye, Mr. Spalding from the start, and they gave me the confidence to continue. Okay, on to the book – Goodbye, Mr. Spalding. Can you tell us a little about it? Early baseball in Philadelphia consisted of two major league teams – the Phillies and the Athletics. The A’s played in Shibe Park, and one of its most unique was a short 12-foot right-field wall. The row homes across the street had an incredible vantage point of the field. In fact, they were closer than some of the right field stands in ballparks today. Homeowners sold tickets and built bleachers on their flat rooftops, and it became a source of income for the neighborhood. The Shibe Park owners never really loved the “freeloaders” in right field, and with diminishing ticket sales and the Great Depression, in 1934 they decided to build a wall to block their view. Goodbye, Mr. Spalding explores characters Jimmy and Lola, best friends who live in the homes and have a perfect view of the field. Their families and others on the street make extra money by selling tickets to rooftop bleachers. When they learn that a wall will be built before the 1935 season, Jimmy and Lola come up with a variety of ways to stop it. As Jimmy becomes more and more desperate, he finds himself wondering how far he’s willing to go – including conspiring with the neighborhood bullies and creating a deep rift between him and Lola. Jimmy must work to repair their strong bond, and what started out as a fight against the ballpark owners, ends as a fight to save a friendship. In recent years, it seems both the quantity and quality of Middle Grade historical fiction has been on the rise. What do you think accounts for this? What does historical fiction uniquely offer its readers? I agree, the quality of MG historical fiction right now is really incredible. I’m not sure I can pinpoint why it’s been on the rise, although I do feel like school curriculums are doing an excellent job of using historical fiction books to crossover between language arts and social studies. That kind of instruction resonates so well for this age group. Did you read historical fiction as a kid? Are there any more recent historical fiction books you’d count among your favorites? I don’t remember reading historical fiction as a kid, but I will plug my all-time favorite childhood MG book, The Little Witch by Anna Elizabeth Bennett, and illustrated by Helen Stone. I even have an original first-edition goof – printed upside-down! I’d consider Fever 1793 by Laurie Halse Anderson and Moon Over Manifest by Clare Vanderpool among my favorite historical fiction middle grade novels. For a more recent title, I just read The Night Diary by Veera Hiranandani, a powerful and heartfelt book that I would highly recommend. Now, when it comes to writing historical fiction, how do you balance fact and fiction? Do you have your own set of rules or guidelines when it comes to taking artistic liberties? Do you ever “fudge” some facts for the sake of making a scene more compelling? The accuracy of the history can set one book apart from another, and I took it very seriously – although it definitely is a balance of wanting to be as genuine as possible, and also wanting to move the story forward. Lucky for me, the baseball community has always done such a fantastic job with archiving their history, which made it easier to be authentic. What drove you to write a story about America’s Pastime? Are you a baseball fan? Have you always been? I am a lifelong baseball fan. I even collected and traded baseball cards in the late 1970s, and the 1980 Phillies World Series win is one of my best childhood memories. I have witnessed a no-hitter in person (Kevin Millwood, 2003), and October 29, 2008 was one of the best nights of my life. Truthfully though, it’s all Philadelphia sports. If we had a little more time, I’d go on about my deep love for the Philly Special, how I still Trust the Process, and how Gritty is misunderstood. Something I particularly loved about Goodbye, Mr. Spalding was the sense of community you depicted. There’s a real closeness between everyone in the families and the neighborhood at large – for better or worse! Was it important for you to show this? Thank you! I’m so happy you feel that way. Early in my journey – I think it was 2009 – I interviewed Dr. John (Jack) Rooney, an original resident of the bleacher seat community. He would have been about the same age as my main character, Jimmy, in 1934. He talked so passionately about the neighborhood community surrounding the ballpark, and it was very important for me to try and capture that aspect of the story. None of my research in books and newspapers were as strong as that interview, and it really showed me the importance of primary sources when writing historical fiction. I’m not sure I would have been able to genuinely show the sense of community without speaking with him. What do you hope your readers – in particular the young ones – take away from Goodbye, Mr. Spalding? On a smaller level, I hope one of the takeaways is that history can be pretty cool. I also hope they get something out of it that they did not expect. For example, if they pick it up for the baseball, maybe they leave with an appreciation of the friendship, or visa versa. And I hope everyone starts making their own set of rules of their own. On a larger scale, there are life-lessons. The most obvious is that things will not always go their way – and that’s okay. Even more important is that young readers will witness a character make poor decisions, see the consequences of those decisions, and how they have to work hard to make it right. Many of our site’s readers are teachers of Middle Grade-aged kids. Is there anything you’d like to say to them – in particular those planning to add Goodbye, Mr. Spalding to their classroom libraries? Only that I’m so grateful. I’ve had a great response from the school and library community so far, and I’m so impressed by the creative ways they are planning to use it in the classroom and communities. My favorite so far is a teacher and little-league coach planning to tie it into summer reading incentives for his team. I am very eager for school and library visits, and I should have some teacher guides on my website before the launch in March. Feel free to reach out anytime! Where can readers find more information about you and your work? You can find me at www.JenniferRobinBarr.com, on Twitter at @JenniferRBarr, and reach me directly using the contact form on the website. It’s definitely a work-in-progress, so keep checking. Also, if you are in the Philly area, I’m having a book launch at Children’s Book World on March 31, 2019 at 1:00. Please join us!